August 13, 2014 By Allyson 2 Comments This post may contain affiliate links. Read my disclosure policy. I absolutely LOVE printables, and free ones are definitely the best. If you browse Pinterest, you can find tons of free printables and they are perfect for home decor! I love changing them up and keeping them in season. 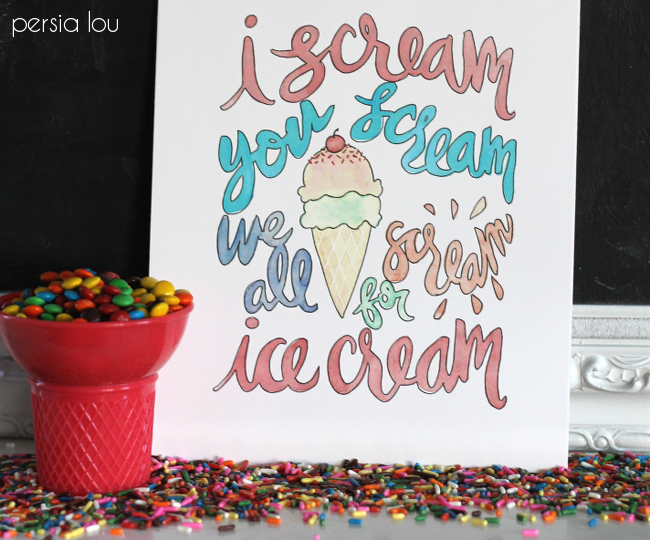 This printable is perfect for summer and I love the watercolor style that Alexis did! Check it out…. Hey guys! I’m Alexis, and I am excited to be here guest posting for Allyson while she enjoys her sweet new baby. I blog over at Persia Lou about all things crafty, DIY, and home-related. That strange blog name is a combination of great grandmother’s and grandmother’s names. When I was a kid, they taught me to crochet, embroider, and can fruit and jams, and that love of making has stuck with me. Lately, I have been really into watercolors, and last month, when I was planning my son’s ice cream birthday party, I painted up this little 8×10 print of that famous rhyme about screaming for ice cream. 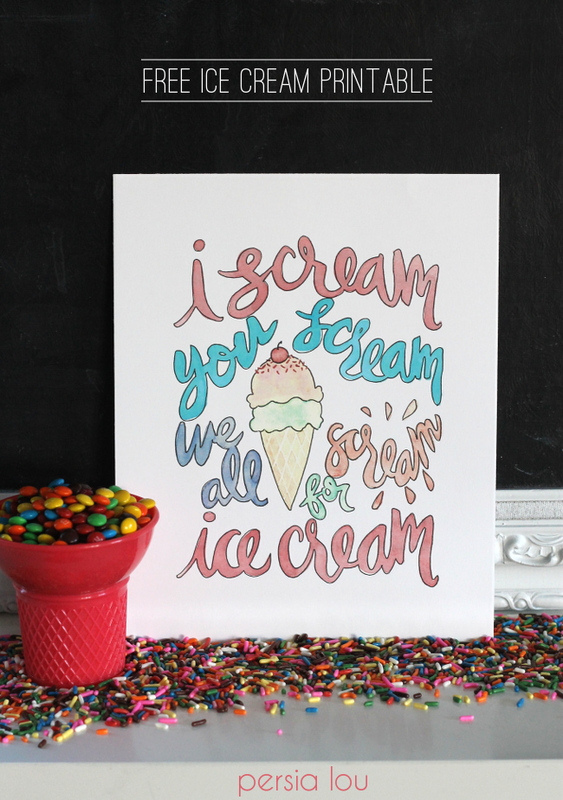 If you are throwing an ice cream party, this print would be a perfect addition to your decor (or really to any dessert table), but I think it could also be really sweet in a nursery or kid’s room. Come get the free printable right HERE. Enjoy!